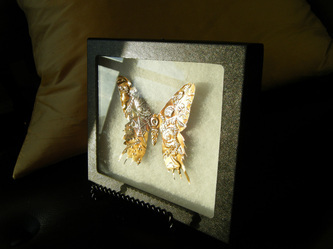 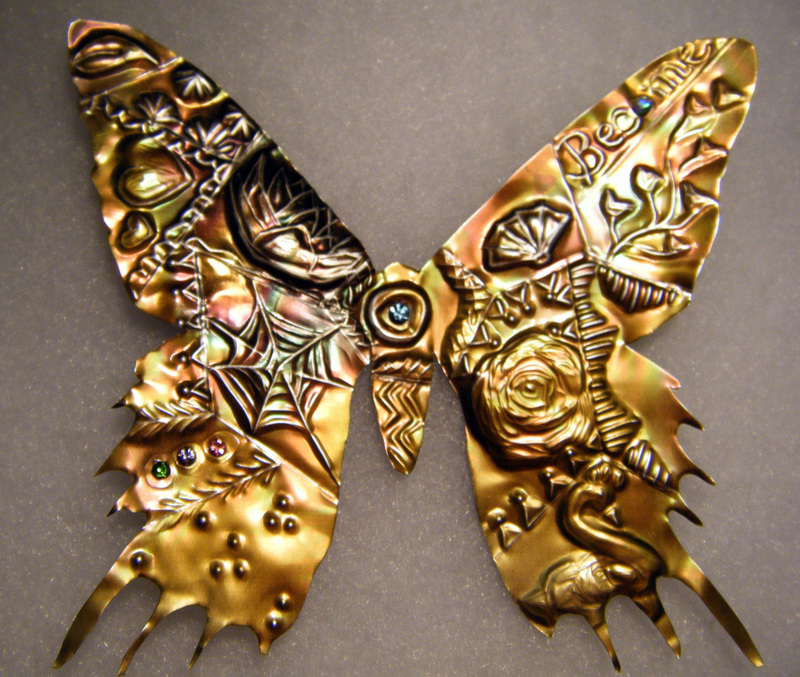 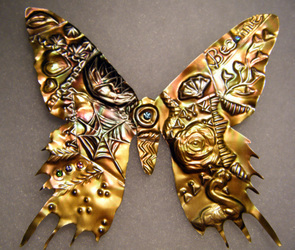 "Crazy Quilt" is a one of a kind flutter-bye sculpted from a recycled European beverage can. "Crazy Quilt"; 2010. 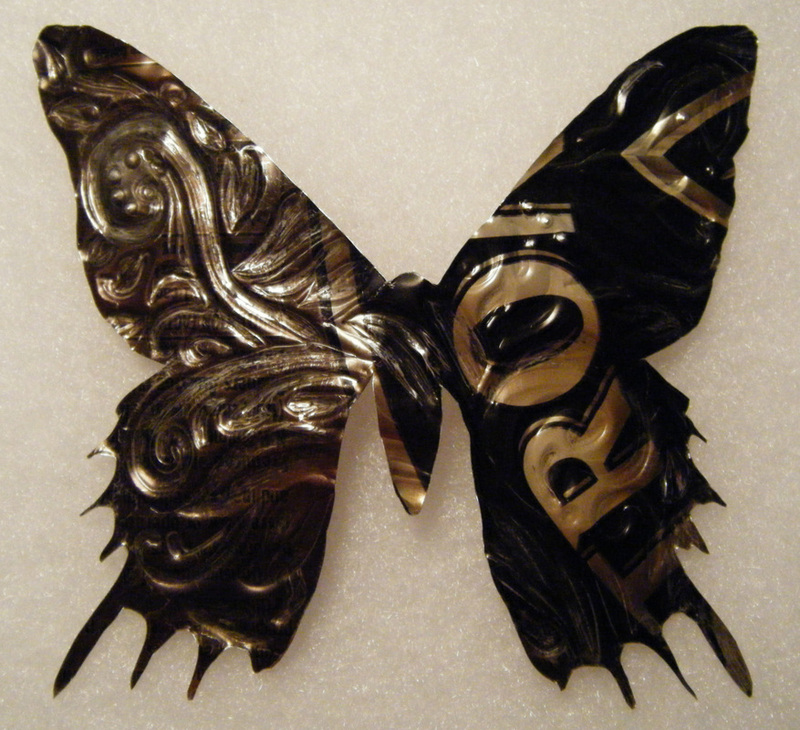 Recycled aluminum drink can, Swarovski crystals, Riker's Mount. 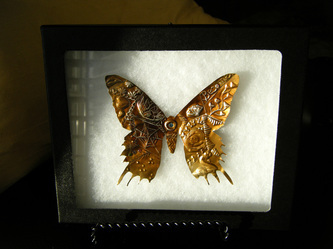 Private Collection, Florida.